Is laser eye surgery safe for teenagers? Although there is not a significant amount of data on the topic, there is little evidence to support the claim that LASIK eye surgery is safe for young children. A child's eyes are constantly changing through the development process as they age, and are typically not nearly complete developing until the child is at least 18 years old and can sometimes take even longer. The developmental process of the eye will vary slightly from person to person but it is more advisable for those over the age of 21 to look into LASIK eye surgery.It can now be concluded that LASIK eye surgery is not recommended for children under 18, in less a severe situation permits. And not for older individuals, as many eye conditions developed at an older age cannot be fixed with LASIK. A licensed LASIK professional can review all of your options and whether or not you are a good candidate for LASIK eye surgery. Although LASIK is a safe and effective way to improve vision, the FDA has not approved the procedure for people under the age of 18 because their eyes are constantly changing until about that age. In some cases, a person's eyes may not fully develop until the age of 21. A teenager who undergoes LASIK surgery when his or her eyes are not fully developed will find the results to be temporary and may need corrective surgery in the future. Most doctors recommend that a patient's eye prescription be stable for at least two years before undergoing LASIK surgery. Lasik eye surgery may be pitched as a "safe and easy alternative to glasses," but more than half of the people who have it or other laser vision-correction surgery still need to wear glasses at least some of the time. Actually, no lasers are approved for children or teens under 18, because their eyes are under development and changing. Because LASIK permanently alters the shape of the cornea, it is far too risky to perform LASIK on a cornea that is still changing in shape and size. If LASIK were to be performed on a teenager, the procedure would probably have to be repeated when he or she reached early adulthood. Hope this helpful. Laser eye surgery is the reshaping of the cornea by using an excimer laser. This can correct focusing problems. Many people who choose laser eye surgery do so because they have experienced problems with their glasses or contact lenses.while it is certainly possible for teens to undergo lasik, I do not recommend the procedure to patients in this age group. The teenagers' eyes do not fully develop until adulthood. More precisely, the eyes may be fully developed by the age of 18 and the eyes do not fully develop until the patient in his or her early 20s. So, if a teenager would like to have laser eye surgery, he or she can waite until he is 20s. Hope this helpful. Laser eye surgery is not recommended for teenagers. The FDA strictly prohibits LASIK surgery for those who are not yet 18 years of age. Most reputable eye surgeons will not perform LASIK on a young person until at least the age of 20.Our eyes continue to change during the teenage years, with vision finally stabilizing in our 20s.Because LASIK permanently alters the shape of the cornea, it is far too risky to perform LASIK on a cornea that is still changing in shape and size. If LASIK were to be performed on a teenager, the procedure would probably have to be repeated when he or she reached early adulthood. Once old enough for LASIK, surgeons will make certain of two things: A LASIK candidate should have no pre-existing corneal eye disease and should have a stable prescription for at least a year. Will my eyes become very dry after LASIK eye surgery? How important of the pupil size regarding to cataract surgery? The best time of year to have eye surgery? Am I still a good candidate for LASIK, because I am 64 years old? Can perfect 6/6 vision be guaranteed through Lasik? Can my vision be worse after Lasik? What range of myopia can be treated with Lasik? 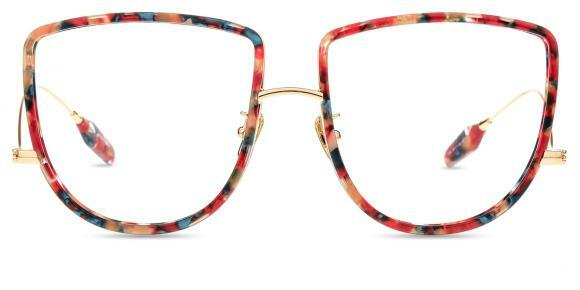 How to tell pure titanium eyeglasses frames? Which kind of eyeglass frames are best for children? 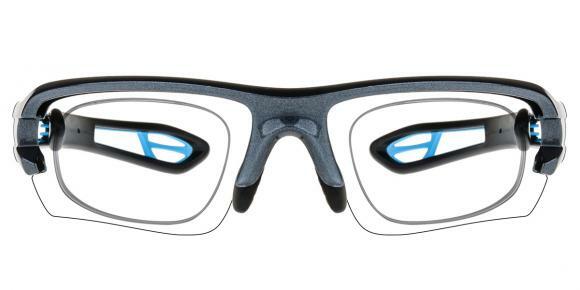 How to adjust nose pads on rimless glasses? What is the difference between pure Titanium and bendable titanium frame? How to care for my colored contacts? What is the lowest power for reading glasses? How to remove the annoying reflections from edge of glasses? How to bend titanium glasses frames to make them fit me better? How to Adjust Rimless Eye glass Frame Temples? What kind of glasses does Kate Hudson prefer to wear?